Sit back and take in the absolutely beautiful panoramic views of the Chetek Chain of Lakes! This home has many features including an abundance of living space and multi level deck ready to accommodate a large family or out of town guests. 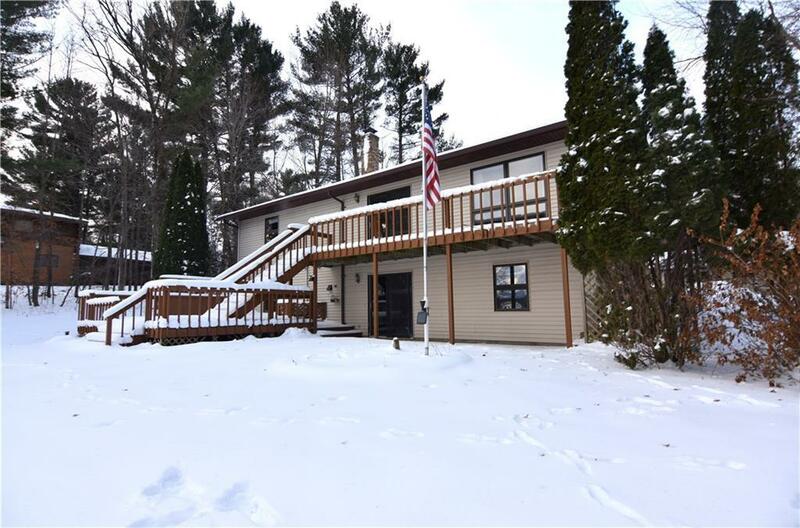 The home boasts a full lower level with kitchen and wood burning fireplace, spacious bedrooms, new roof, attached heated 2 car garage and an additional detached 2 car garage ready to meet your storage needs! Located just minutes from Chetek or Cameron on a low maintenance .85 acre lot with endless views and recreation just steps from your door! Directions: From Chetek, North On Hwy M To West On 10th To North On 24th To East On Short Rd. Short Rd Turns Into 24 1/4 St - Follow To Sign On Property.